One of our promises is that our tools – our Grids package – helps you to make games fast. We have designed it keeping in mind the things you will need when making a game – what kind of algorithms are you likely to use or implement. We played hundreds of games that use grids, analysed their mechanics, and worked out a uniform structure to make it easy to solve the type of programming problems you are likely to meet. We know games go through lots of iterations; we want to remove the tricky bits standing in the way. Read more on Gamasutra about how we made 30 games in 30 days or see our interview with Develop. PLEASE NOTE: Google no longer supports Unity Web player. Please use Internet explorer or Firefox. 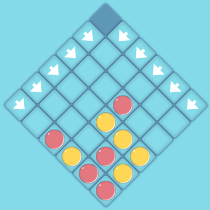 Game 1 is a riff on Lights Out (a game we also implemented on a few grids for our examples) and is played on a hex grid. Instead of trying to switch off all lights, you are trying to trap the monsters. 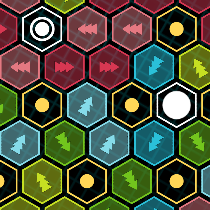 Game 2 is a maze traversal puzzle game; as in all maze games, you have to find your way to the goal. There are cells where you can decide which direction to take, but most cells take you in the pre-chosen direction when you land on them. Game 3 is a version of the famous game Ludo. 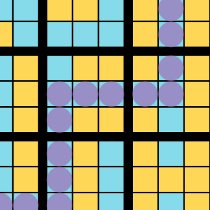 This version is played with 6 players on a hex grid. Like Ludo, the goal is to move all your pieces from the start to finish. The first player to get all his pieces to the home base wins. 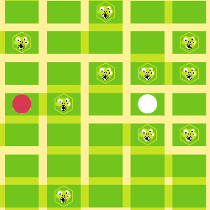 The aim of Game 4 is to move your player to the centre of the grid without the monsters landing on the cell that your piece is in. The grid becomes bigger as you play which increases the level of difficulty (and the number of monsters to dodge!). Game 6 is another maze game, but with a twist: instead of finding your path from start to goal, you have to shuffle sections of the maze to create a path from start to finsh. 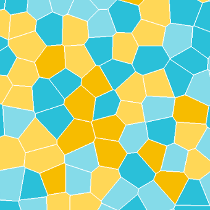 Game 7 is a version of Conway’s Game of Life using a rhombille grid. Yes, we know it’s a bit of a cheat… since it is not a game at all! But no exploration of play on grids is complete without a bit of cellular automata. In Game 8 you play as an amoeba. The aim of the game is to grow your amoeba and to take over the other amoeba. 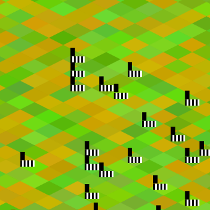 Game 9 (African Savannah) is a simulation played on an isometric grid, crudely based on Sim Life. The goal is to build a stable ecosystem; finding the right balance between zebras and lions. To win game 10, you have to block all the ant paths by placing dominos in their way. 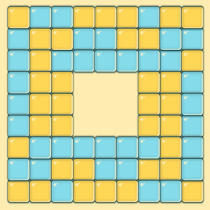 This game is played on a rectangular grid, and involves both the faces, and the edges of the grid. In Game 11, you have to reach the center of the maze. When you land in a cell with arrows, you move in the direction of the arrows. You can also rotate the bands of the maze. The aim of Game 12 is to reach the the goal without being caught by a monster. You do this by placing and removing walls to trap the monsters and to create a safe path to the finish. 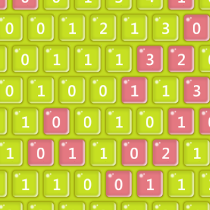 In Game 13 you have to slide the rows in order to match the big grid to the small grid. This game uses a triangular wrapped grid. 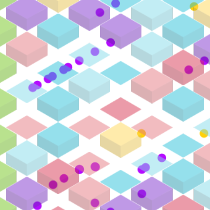 Game 14 is a version of the game Snake played on a Hexagonal Grid. 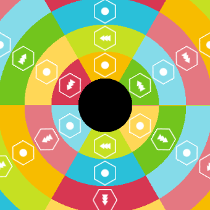 Like Snake vannila, the aim of the game is to grow your snake by collecting food; however, in Hex Snake you can move in six directions instead of four. In Game 15 you are a paratrooper and your mission is to land in the safe zone. You also need to avoid the planes and bombs around you to stop you from being blown away. Tiles are not just for 2D. Game 16 is a simple maze game – you have to find the orb. In Game 17 you have to collect coins by jumping onto moving platforms. Watch out for the ones that rotate! 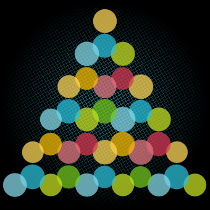 In Game 18 you have to get all the red dots together by rotating the neighbors of each dot, which are placed on a triangular grid. Game 19 is a remake of the classic game Xonix. The aim of the game is to fill the playing field by running over it. At the same time you need to avoid the enemies from catching you or letting them crash into your path. 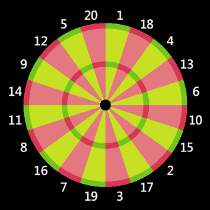 Game 20 is our implementation of the Darts game 301, where the aim of the game is to reach 0, starting from a score of 301. 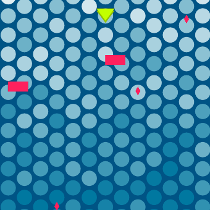 The game is played by clicking on the moving target to hit the score that you want. Note that you have to end on a double score (in the outer ring). 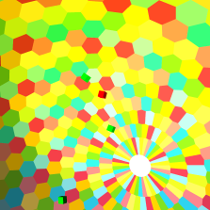 Game 21 is another 3D game; this time on a hex grid. 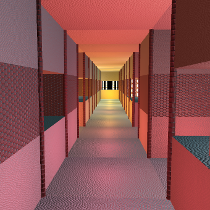 The aim of the game is to get to the outer ring; however, paths randomly become walls along the way. 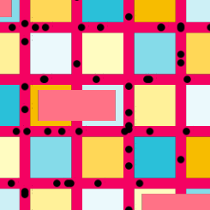 Game 22 is a 2D game on a rect grid. 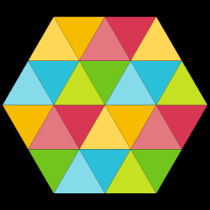 The game uses similar mechanics to that of a rubic cube. The aim is to get all four corners to contain nine blue blocks. 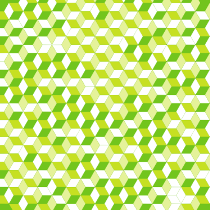 Game 23 is a simple shuffle puzzle on a hex grid. 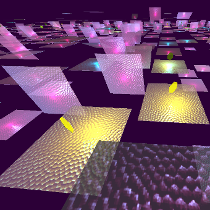 The aim of the game is to reconstruct an image by moving cells around. Game 24 is a runner on a spiral staircase. You have to avoid objects in your path and see how long you can last for with out running into one. In Game 25 you have to shuffle a board of numbers so that each block contains the difference of the two numbers above it. In Game 26 we try another simulation type game on an isometric grid: Zombie Apocalypse. The aim of the game is to save 250 humans before the time runs out. To do this you have to get them to the safe zone without them getting incinerated or infected by zombies. Game 27 is our version of the game Line up 4 played on a diamond grid. In our version you have to line up 3. You can also add pieces from two sides of the grid, instead of one. The aim of the game is to line up 3 pieces before your opponent, either horizontally, vertically or diagonally. 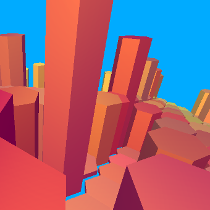 Game 28 is another 3D example: this time a grid wrapped onto a sphere! 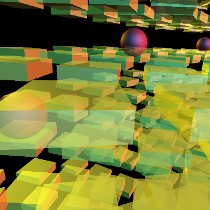 The aim of the game is to move around the inside of the sphere and collect the green cubes, while also avoiding the red cubes. All this while the walls of the sphere rotate. 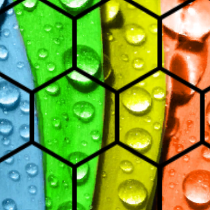 Grids are not just for attractive geometric shapes. 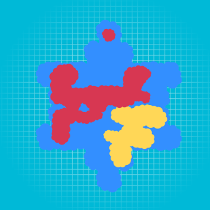 Irregular shapes come in grids too. In Game 29 we re-use some familiar mechanics, and give it a new twist: you play the normal Lights Out game, but on an irregular grid! 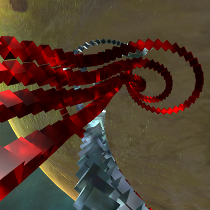 In Game 30 you have to travel through space on a twisting roller coaster and swap lanes to avoid crashing.